She is a girl who dreamed of traveling the world, though like so many of us, instead chose to conform to society’s conventions and concepts of reality and found security in the 9-to-5 grind. Though miserable with a career and life that wasn’t really the reality of her dreams, she was too scared to leave that security behind and make the jump to seek out change. That is until she started meeting with others who had made that leap and had broken out from society’s carefully crafted mold. 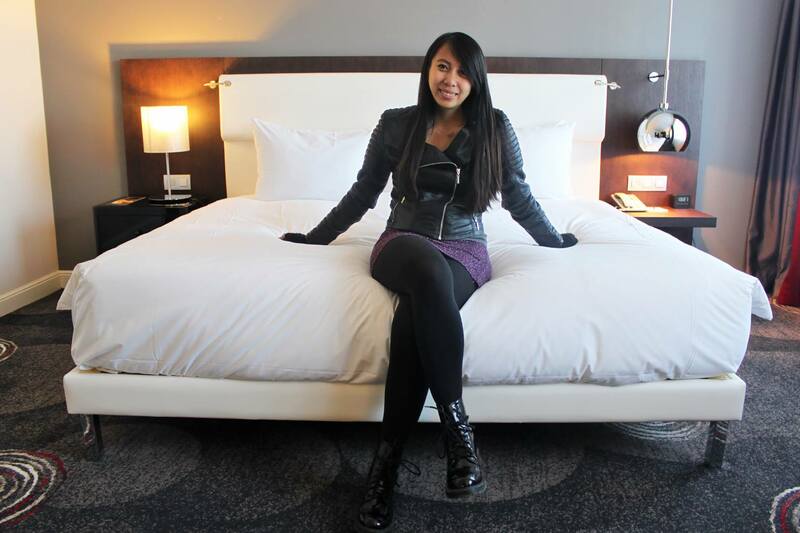 Nowadays Aileen Adalid is a lifestyle traveler who has worked incredibly hard to establish an online business which enables her to travel the globe. She broke all of society’s conventions to go after the life she truly loved, and now seeks to inspire others to do the same. She wants people to know that the dreams you have are really possible…and people are living theirs every day! Reality is, after-all, highly negotiable, and can be molded to suit your desired way of life. Dreams are meant to be lived. Don’t ever let small minds convince you that your dreams are too big. There are a LOT of reasons to give on for my love of travel, though the utmost would have to be how it gives me a deeper appreciation and understanding of everyone and everything in this world. The way I see it, travel is like this constant learning process that helps to make us more open-minded to the world around us – helping us to see past the media stereotype of the wrong and bad side of things. I’ve found that the more people we meet and the more experiences we encounter, the more understanding we become of others’ customs and cultures. In my opinion, this is truly a great life skill that everyone should come to learn as most of the problems in this world are too often rooted from prejudice. Travel inspiration: How to travel the world. Actually, it has always been my dream to travel the world while working for no one else but myself. However, I ended up fusing myself with society’s conventions and concepts of security, so after graduation, I went into the 9-to-5 grind. I thought that would be the ‘final plan’ for me, but then I gradually realized that I was terribly miserable with a career and life that wasn’t really what I had always dreamed of. However like so many others I was too scared to leave that security and make a change. Sometime in 2012, as I did some ‘lifestyle’ blogging in my local area, I started to meet some amazing people who convinced me that reality was a concept which was negotiable. I’m talking about backpackers, nomads, and entrepreneurs who were passing through my city – my whole world was turned upside down! Meeting these people meant it finally hit me that “Hey, the dream that I had is really possible…people are living it every day!” and I realized that it was me who was holding myself back. After huge doses of inspiration from those people that I’ve met, I finally took the leap, did my real ‘work’ passion, and started traveling the world. Summer in the Philippines. I started lifestyle blogging in my local area and then branched out from there. You’re a digital nomad – is this lifestyle normal where you’re from in the Philippines? In my opinion, it’s not so common. Of course there are Filipinos who are doing it (because I know some of them); however, there are not so many of us since most of the working population still believe that a stationary corporate job is the ‘surefire’ way to future success. Not that I am saying that that’s not true; it can be true, but it’s just not the kind of career that I personally enjoy, and this is only one kind of reality when there are really so many more. Your mission is to inspire folks from the Philippines and Asians in general to break conventions and go after a life they really love – what is stopping people in this region from pursuing alternative lifestyles? That’s true. I actually have a LOT of friends, for example, who have ‘alternative’ dreams of their own, yet a lot of them end up doing the typically-perceived successful jobs like engineering, accountancy, etc. and this usually happens because of two big and powerful influences: family and society. A lot of families in Asia are still so traditional that most of the time, it’s common for parents to closely monitor your career, maybe even dictating what you should and shouldn’t pursue — it’s like this unified agreement that any differing aspirations will have to take a backseat or tossed to a box called ‘FORGET IT’. Now if you try to defy them, there’s a high chance that you will be ostracized or disowned. 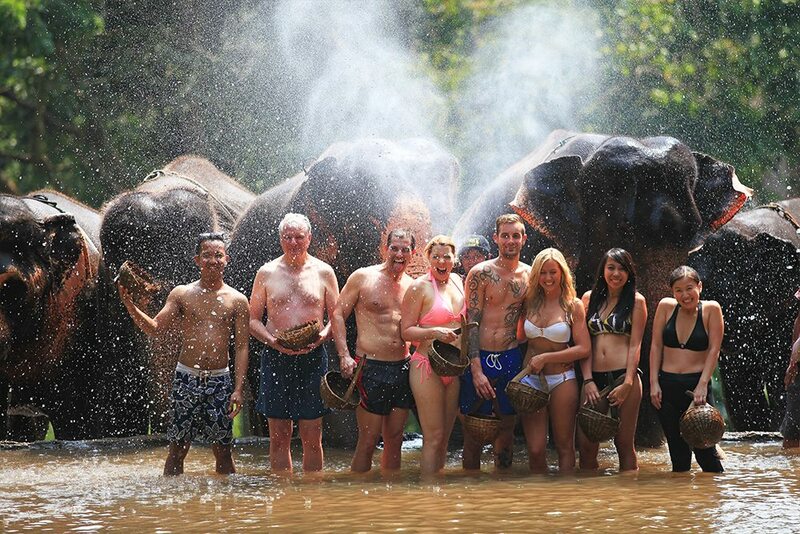 Responsible elephant tourism in Chiang Mai. It’s a bit of an extreme example to use, but it happens. I have a traditional family myself, and it took a lot of discussion in order for me to persuade my mom to let me go ahead with my plans (I think that at one point, she thought I was going crazy). Thankfully I wasn’t disowned, so I always give my mom credit for what she did because I felt that she was slowly adapting to the ‘new world’ (mom, you’re the best!). As for society, in general they revolve a bit around the ostracizing part too, because I believe that everyone is just far too mindful of what other people would think of them if they branched out to do something different — an action that is seen as a standard recipe for failure (so imagine this: just the thought of it can be horrifying for most since not only will they fail but they will also be ‘talked about’ or laughed at by others). Society can be ostracizing too, though my alternative dreams landed me on the front cover of the Manila Standard! There are very few visa free countries for residents of the Philippines – is this something which affects your travels? My country doesn’t really have a good reputation abroad so we are often required to provide a lot of self-supporting proof as we go through gruelling visa applications (that can be costly). In fact, I have been denied a visa once. However, I’m never one to back down from any ‘challenge’ and I don’t want visas to discourage me from going anywhere, so I always make it a point to ‘overdeliver’ when doing any visa applications and this approach has truly helped. European countries for example are difficult to travel to and jump between, there are a lot of restrictions on how long you can stay in the region, however with some hard work and creativity, I have managed to stay in the Schengen Area legally for a longer time with my passport. How do you afford to travel continuously – are you rich?! I get this question a lot from my readers, especially from my fellow Asians. I guess we are all too conditioned to think that travel is only for the rich, upper-class, lucky, or pension-filled people. However, I actually don’t belong to any of these ‘4’ groups and yet here I am, traveling the world. I made this lifestyle possible through a LOT of hard work and patience. I first started out small by giving my services online like data encoding and customer service assistance. Months later, I began to be trusted more with more complex tasks like graphic design, web design, SEO, and online marketing that it even bagged me a stable contract for an online brand that paid double (and eventually quadruple more) than the money I earned as a fresh graduate back in my previous corporate job. Now while I was doing this, I was also blogging about my travels and this helped a lot as several hotels and resorts were willing to give me all-expense-paid trips in exchange for added exposure online. Hotels and resorts were willing to give me all-expense-paid trips in exchange for added exposure online. Today, other than blogging, I still do the freelance online work from time to time (digital nomad jobs), but mostly, I concentrate on my own business which I managed to set up just last July 2014 named as ‘Adalid Gear’ (an idea that was formed after I was inspired by one of the online companies that I worked for). Read: Make Money While Traveling The World. Start A Blog. How did you go about setting yourself up to be able to work from anywhere in the world? Any advice to others trying to also make this a reality? > Never undervalue the skills and abilities that you have. Use it to your advantage and then find ways on how you can do it while on the road. > Ensure that you are going after your true passion in life because though the process would at first be slow, it’s inevitable that you will eventually become a master of it and when that happens, not only will the money come but you will also be open to a LOT more possibilities such as potential business ventures, partnerships, and more. Work Mode on the Beach in El Nido, Palawan. > Try to diversify your ‘work portfolio’ and always think long term. Volunteering, for example, can keep you going for years, plus, it’s an interesting and helpful way to travel — however, I don’t think you would want to work for bars or hostels for all your life especially if you want to lead a travel lifestyle for a very long time. Therefore, do try to think of other ways that will lead you to a more sustainable life of travel and such can be a (remote) business or a profession that you can start working on as early as now. You define yourself as a ‘lifestyle traveler’ and not an expat. What is the difference? It’s just more on the technical definition because customarily, lifestyle travellers are considered as those who are certain that they would be leaving the country that they are in (no matter if they will be staying there for 3 years) and then transfer to a new one. Expats however are usually defined as those people who are sure that they will be permanently residing in the country that they are in. How long do you generally stay in each destination? I usually stay for 1 to 2 years (while doing brief trips to nearby countries once or twice a month) before I hop on to another faraway destination to set up my new ‘home base’. I travel this way because it gives me more of a fuller experience with the new community that I choose. How do you choose where you’re heading next? I’m not really into the whole idea of planning long term — I mean, I do plan and I have destination goals but I am very flexible; I often just go with the flow and with what’s ‘there’ since I travel in a way that is somehow spontaneous. For instance, if I find a good airline deal that would take me to a nearby country from my current home base, then you will definitely expect me packing my bags, all ready to go! Biggest cultural shock you have experienced while travelling the world? But seriously, this is a tough question to answer because even the littlest things can be a big shocker to me —the way other people have their meals, do their dishes, use public transportation, interact with loved ones, and so much more. It clearly showed me how there is just so much for me to discover and learn in this world; I simply want to be exposed to everything for as much as possible and soak it all in! Read: Book Review: A Practical Guide to Culture Shock. 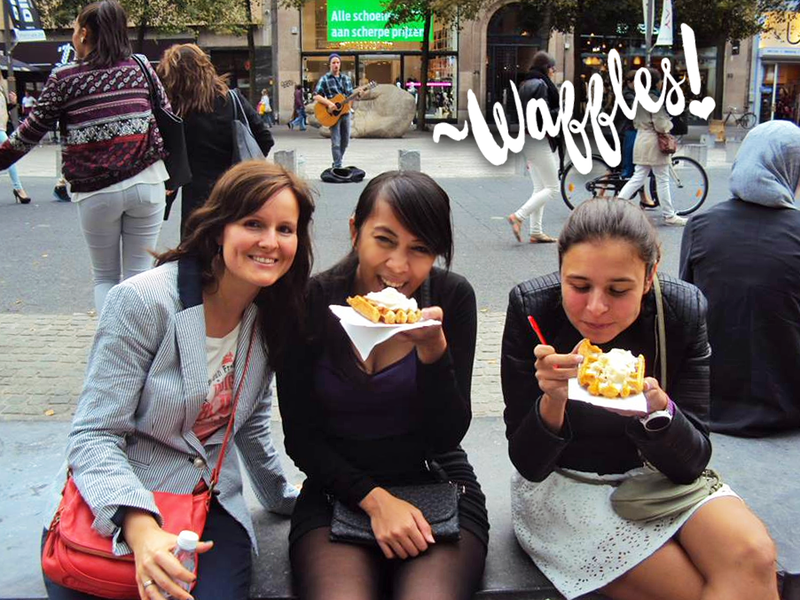 One of the things that I love about Belgium: FOOD! > Laptop: My work and business relies on it a lot. > Camera: I am sucker for documenting my life; I have this irrational fear that I will suddenly wake up one day forgetting everything that I have seen or experienced. > Passport: For obvious reasons. Another tough question! Let me tell you another fact about me: I find it hard to play favorites. But I’ll try my best to provide a top 5! > Japan: because I am unquestionably in love with their culture. > Antartica: other than the wildlife, I want to see for myself the natural terrain (and on an environmental note, I want to prove to others that climate change is truly happening). > Africa: it has always been a dream of mine to venture to the safari, see wild animals and meet local tribes. I actually don’t want to explicitly tell nor ‘command’ people that they should travel because I know that some are already content with the way their lives are. What I rather want to do is to simply share the joy of traveling and the joy of doing what I love to do; hoping that in one way or another, they will see how pleasant it is to do so. Besides, the world isn’t such a scary place like what the media would often portray it to be; it’s a LOT safer than most people would think. Anyhow, I just really liked how traveling had helped me step out of my comfort zone and as I keep on seeing how vast the world is, I am continually humbled by it all, and that feeling of exact humility is so priceless that I wish others would take the chance to experience it themselves. Why You Should Forget Someday and Travel Now. An Interview With Toccara Best. 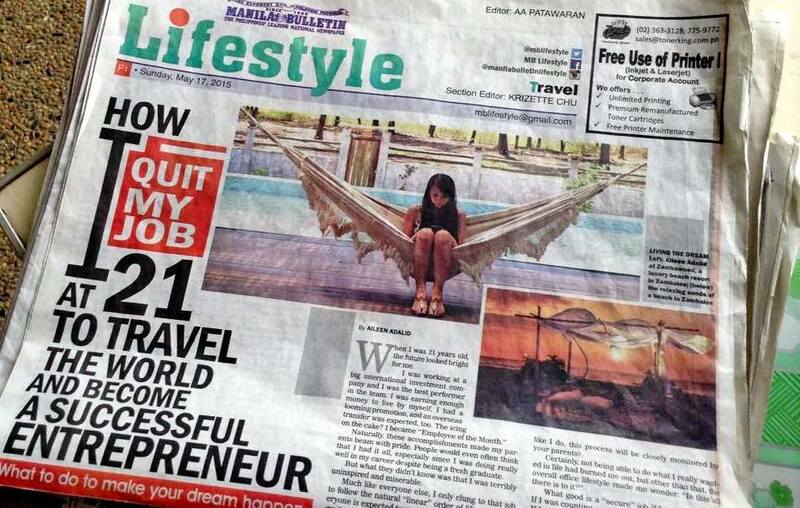 Aileen Adalid is a wild spirit from the Philippines who quit her corporate job at 21 to travel the world. 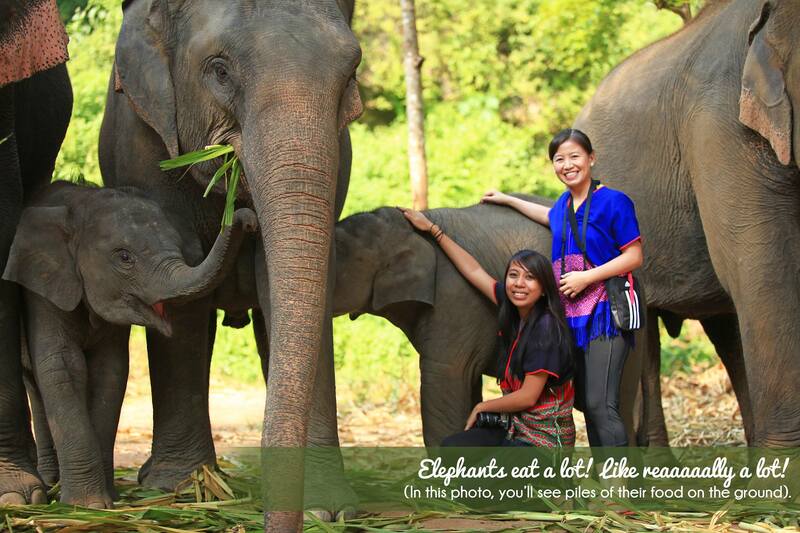 Today, she is a digital nomad and entrepreneur living a sustainable travel lifestyle. She is the mastermind behind ‘I am Aileen‘, a travel blog where she documents her adventures, thoughts, and experiences as she aims to inspire others to wander out more. Come and follow her updates around the globe on Facebook too! Thank you so much for featuring my story, Megan! ♥ It’s truly an honor! :) Safe travels! Thankyou for the great interview – keep on traveling and inspiring others to do the same! What an inspired interview! I am a huge fan of yours Aileen because I know first hand from some of my friends back in the US how strong cultural influences are in your country. You bucked the trend to live a free life. Goodness knows some of my fam ain’t too happy with me becoming a full time traveling, pro blogger but I need to free me and to free other folks through travel, so I let go the critics many years ago and decided, it’s my gig….gotta do what makes me happy and also, what inspires others. Sorry to hear some of your family arent supportive, though so glad to hear you let the critics go. You can’t live for critics because they’re absolutely EVERYWHERE, and I realized a very long time ago that it’s your life – you can only live to make everyone else happy for so long!! Cheers to us Ryan, and all the other traveling nomads out there! 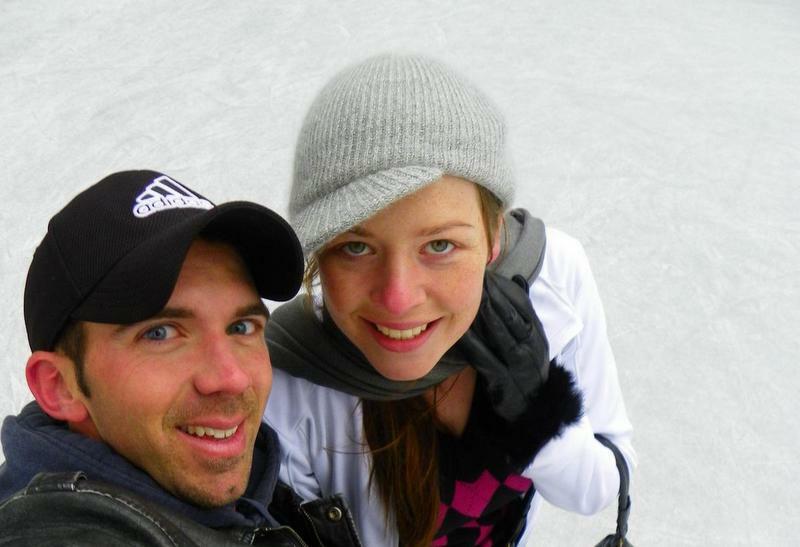 Always SO great to hear about longterm travelers who built their own business! Glad you enjoyed the interview Meg! Proves it’s absolutely possible if you have the drive to set your mind to it :) Happy travels! Meg, thanks for such a great article! Sharing stories like this will make it much easier for my friends and family to understand why I am taking the same leap. Hi I am an Indian, It has always been my dream to travel the world having a continuous stream of Income.I graduated in June 2016 and joined a corporate and then i was very unhappy with it and left the job. I am looking to start an amazon FBA business to support myself and travel the word but i am very clueless and confused. I have been following Aileen since an year. I want to get in touch with you aileen. I really tried to contact you through social media and all ways possible but failed to do so.I need your guidance.Please get in touch with me just once. I will be grateful to you my entire life.